The conflict between Israel and Palestine is known to be one of the most intractable struggles. Most discussions regarding these issues come with a trigger warning, owing to not only the violent occurrences but also the religious sentiments involved. Major media sources often tend to side only one side of these loosely defined borders, deterring from the centre. The Palestinians are an ethnonational group which traditionally originates from the Palestinian area (current day Gaza strip, West Bank, parts of Syria and Jordan) in the Middle East. The Palestinian national identity first emerged and established itself as a response to Zionism (Jewish nationalist identity) in 1939, when it revolted against the British mandate that allowed mass Jewish immigration into the nation. Today, Palestinians are majorly ethnical Arabs who demand a free state claiming the West Bank and Gaza Strip. A major part of this land is currently occupied by the State of Israel (the Jewish state, if you may) which is the source of all of Palestine’s troubles. Israel is accused of illegally occupying lands and establishing settlements in lands that are rightfully the Palestinians’. In response to which the Right claims that Palestine has never existed as a National entity but only as a National Identity. They argue that the first Israeli-Arab war occurred before the British administration in the then Palestinian colony could be completely dissolved. 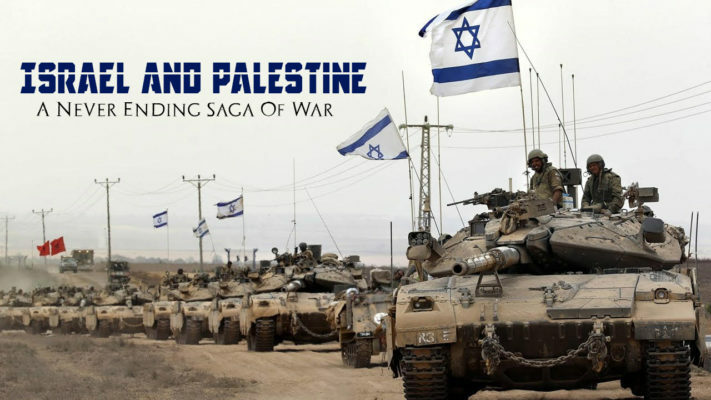 Following its victory in the war, Israel consolidated its power on all parts of the claimed Palestinian land. In broader terms, Palestine was conquered before it even started to exist. Hence, no land can be termed as “Palestinian”. An interesting argument that faces this claim is in reference to the Oslo Accords (a peace agreement) of 1993 that was signed by both, the then Prime Minister of Israel and the leader of Palestine Liberation Organization (considered the sole legitimate representative of the Palestinians). According to this agreement, Israel was to withdraw from select areas and make permanent status negotiations, this was to occur in a five-year interim period starting in 1994. By 1999, at the end of the interim period, delayed negotiations and oppositions in cabinets led to the failure of fulfilling the peace treaty. It was unclear if the changes made would still receive a “permanent status” and if the authority so transferred be recognised in such circumstances. Although this ambiguity leads to many people claiming the legitimacy of Palestine as a ‘Nation’. Another reason that popular opinion sides Palestine is the violent nature of attacks that the Israelis launch on the Palestinian protesters. Israel’s claim has always been that it does so for self-defence. The Right claims that Israel has always been defensive and never began with an offence, and cites the example of the first Israel-Arab war and the six-day war. While the Palestinians in the Gaza Strip elected Hamas, a political organisation that believes in the eradication of Israel. Hence, it claims that it fights for the protection of its people against Hamas, who have in the past have used suicide bombers to attack Israel. The left counters by pointing to the second Israel-Arab war that Israel declared on Egypt to oppose the nationalisation of Suez canal. It also argues that the attacks that are associated with the Palestinians are often peaceful and extend only till stone pelting, the Israeli resistance which is met with guns. Peace In The Foreseeable Future? The argument that one uses changes according to the which side of the border you support. Israelis are defending themselves against the Hamas, that believes in mass genocide of all Jews, claiming land that it has annexed as a result of military gain. While the Palestinians demand the right to their land that has been promised since 1948 and fight against what seems to be a military encroachment. It is important to attempt to understand the other side’s views and try and accommodate them in order to create peace rather than fight and argue by repeating the other’s mistakes and what you believe is your right. Hyderabad Subway's Issue : We Serve Fresh Bread, Veggies And Cockroaches! [VoxSpace Life] Are We Overlooking The Protest Against Gender Inequality At Cannes?